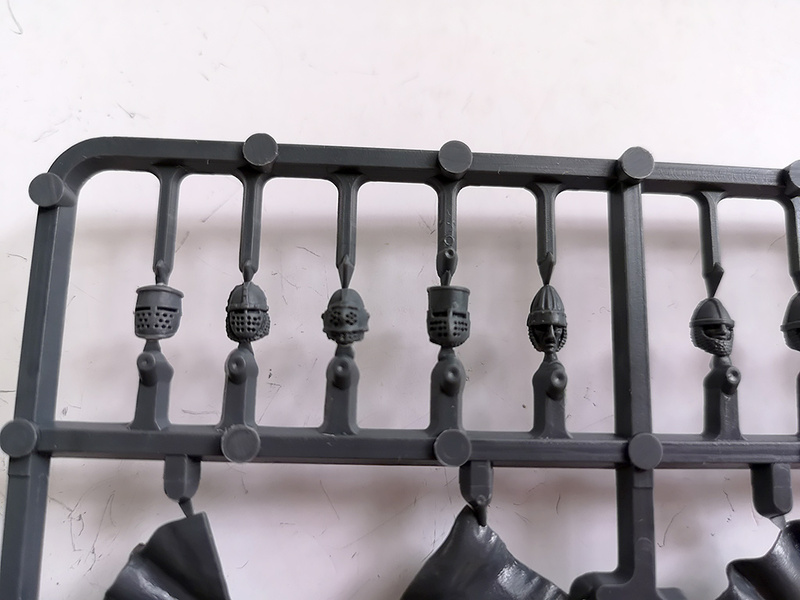 I’ve not done much modelling for the last 3 weeks o so spending most of my spare time developing another special interest website. (If you’re into serial killers check out KillerCentral.com). So it’s nice to get back into the hobby after a wee break. 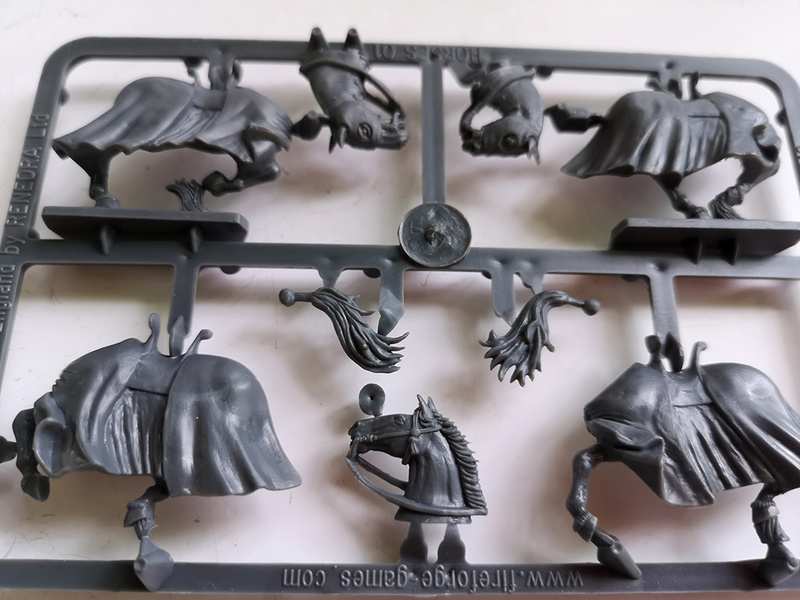 I was up in the loft a few weeks ago trying to find some old 20mm Vietnam figures I got around 35 years ago and I came across some medieval knights. I can’t remember who made them , possibly Minifigs or someone like that, but it rekindled an interest. They were the first figures I painted which I added shading to and I loved their colourful nature. You could make up any design with whatever bright colours you wanted and they didn’t look out of place. 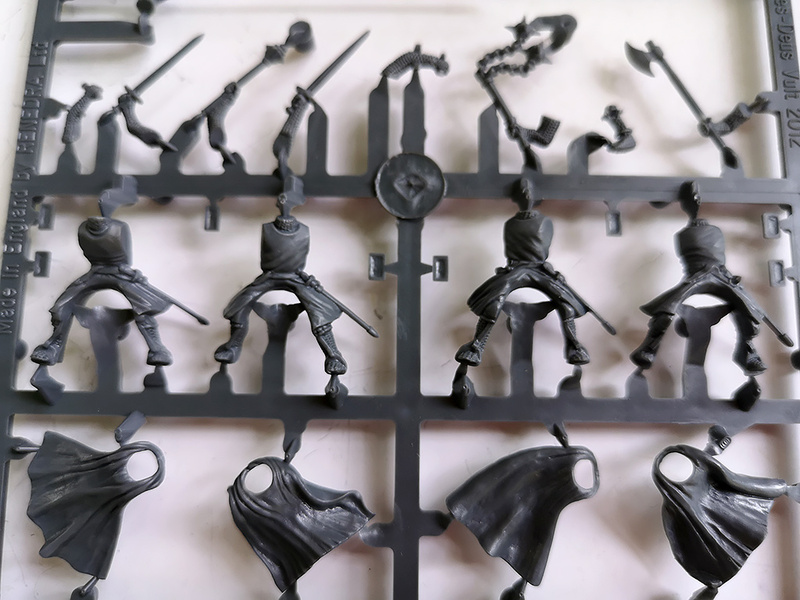 When I went to Salute 2017, I saw some Fireforge figures at their stand and I thought that I might like to try them out one day. 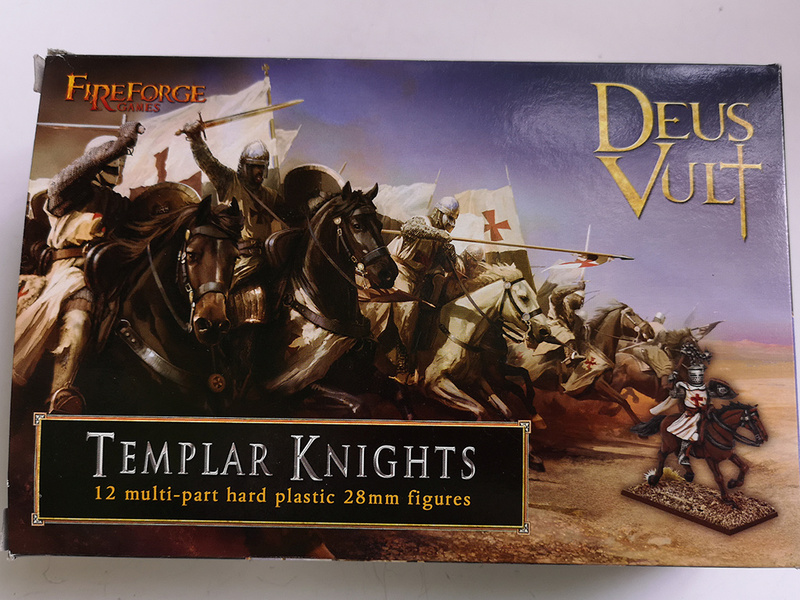 So last Friday I did a quick Google search at the Deus Vult figures and loved some of the examples I came across in the Google image search. 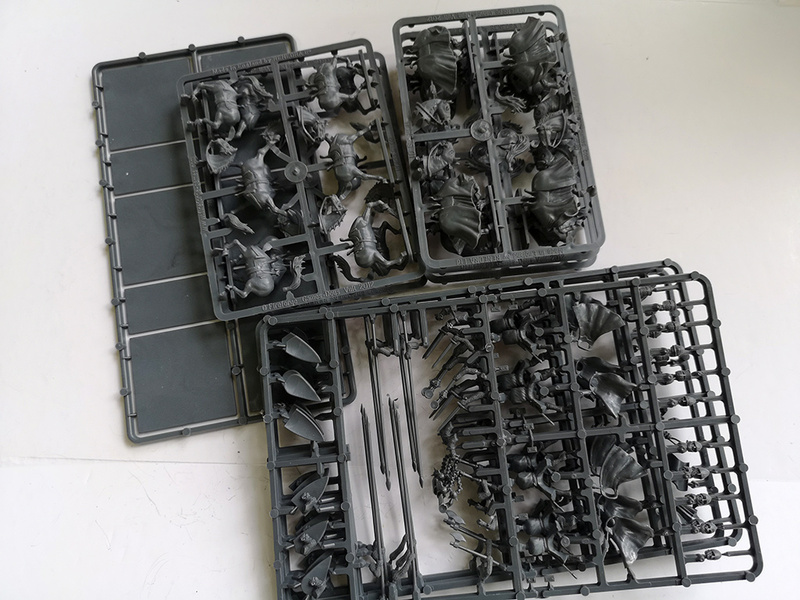 So much so that I ordered 3 boxes. I got them from Caliver Books – ordered Friday, arrived Monday, today. 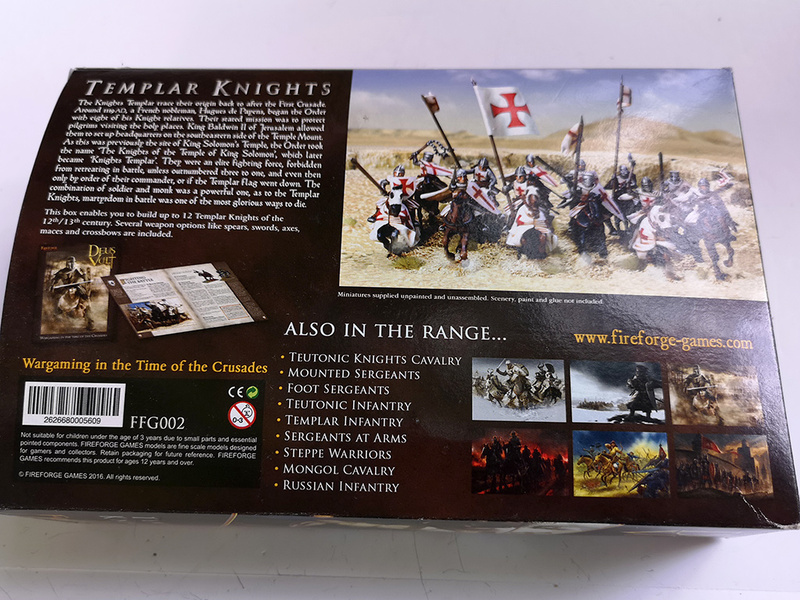 The Templar Knights is the first box and Here are a few shots of the contents. 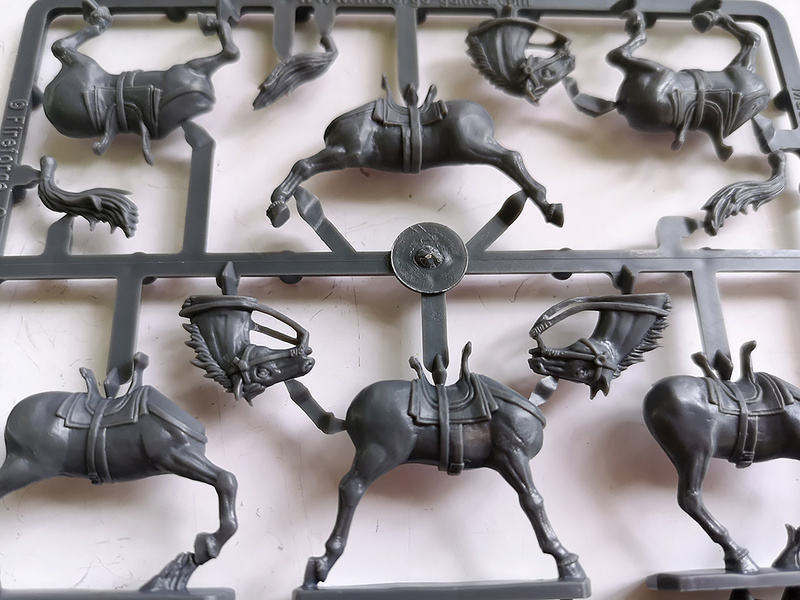 In short, they look very good and I can’t wait to put them together and get some paint on them.